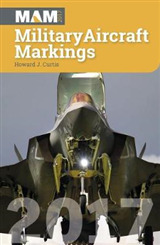 The 34th annual edition of Military Aircraft Markings lists in alphabetical and numerical order the following military aircraft; powered, manned aeroplanes, helicopters, airships, gliders as well as target drones. 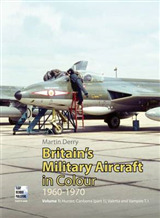 This edition also covers: * Aircraft that carry a UK military serial which are based or might be seen in the UK. It also includes airworthy and current RAF/RN/Army aircraft that are based permanently or temporarily overseas. * Aircraft withdrawn from operational use but which are retained in the UK for training purposes or preserved in museums and collections. * The Irish Army Air Corps fleet, together with the serials of other overseas air arms which might be seen in the UK. * USAF, US Army and US Navy aircraft based in the UK and Western Europe and types that regularly visit the UK from USA are each listed in separate sections by aircraft type. * Veteran and vintage aircraft carrying overseas military markings but which are based in the UK. 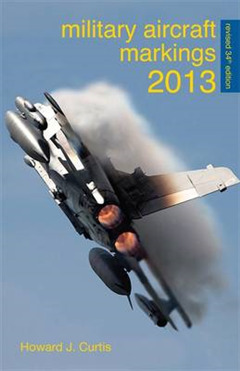 * Comprehensive website information for all the museums, locations, air forces, companies and organisations. 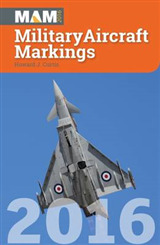 This guide is an invaluable work of reference which will be an essential purchase for all followers of military aviation development both at home and overseas and makes an ideal pocket guide.